Are you considering a home makeover? The new year will ring in some fresh ideas in interior design. Because of this, now is the perfect time to begin exploring all of your makeover options. We have put together a list of our favorite top interior design trends for 2017. Dark hardwood floors are on trend for 2017. A darker hardwood floor tends to give will give your room a more modern and elegant look versus the light alternative. They are not as susceptible to staining as lighter wood. Dark hardwoods can also be complemented with a wide variety of colors schemes. Bright colors and light colors “pop” when contrasted with dark hardwood floors. Marble is a durable, versatile and royal material that brings a refined and opulent touch to any home design. From marble walls and floors to home accessories, there are plenty of different ways you can incorporate this interior design trend into your home in 2017. Black is popping up in many kitchens, and many manufacturers are banking on black to be a noteworthy color that is on trend for 2017. Since an all black kitchen would be dark and overwhelming, it’s ideal to pair the black with another lighter color, perhaps white, a pale shade of gray or a light grayish blue. What better way to add interest and character to your contemporary styled home than with traditional-style furniture? Mixing the old with the new is something that all of the top interior designers are recommending in 2017. If you are looking for an easy way to update your home in 2017, why not invest in statement lights? Lighting is one of those basic essentials in a home that can be overlooked. Statement lighting is one of the best ways to bring style, personality and character to your home. Incorporating stainless steel into your custom stair design provides a modern, fresh style with contemporary sophistication. In addition, it is a high-quality, extremely durable material that has a sleek design and alluring appeal. Whether you’re looking to improve access to your new loft conversion or replace your existing staircase, a metal spiral staircase is an ideal solution. The pure beauty of stainless comes to life in our stainless modular stair systems. 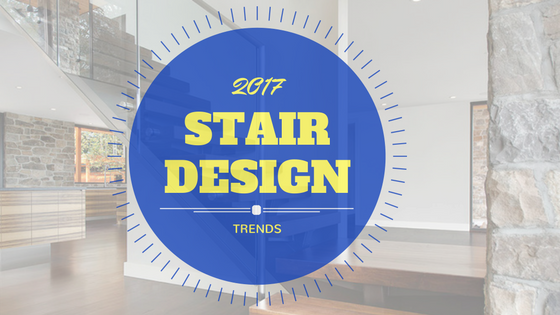 Whether it’s stainless steel or a stair replacement, we can help get your home on trend for 2017! Contact us today and let Stair Solution revamp the look and feel of your home!